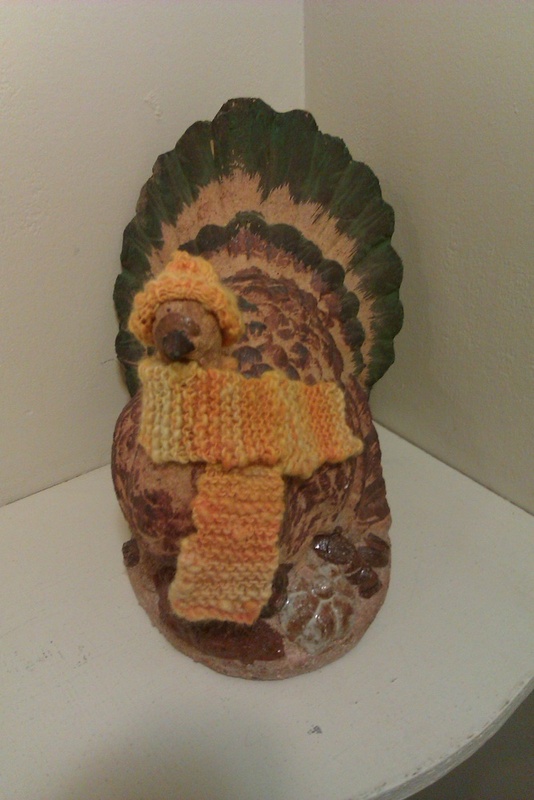 One of my neighbors put this ceramic turkey out in the common area and one day I was bored and decided he needed a scarf. When I was done with the scarf, I figured “What the hell?” and made him a hat, too. I even used some of my own homespun. Go me!